Arbolet platform has been created with the beginner user in mind. 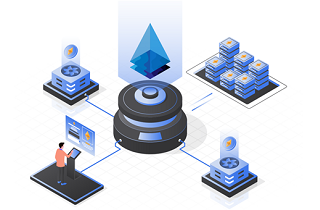 The platform offers security, a simple and user-friendly graphical interface, the ability to manage an account in USD which is appreciated by beginners that are not yet familiar with cryptocurrencies. Arbolet offers also a sophisticated learning system where beginners gradually learn how to handle and work with Bitcoin and use it effectively. This is done with quizzes, educational articles without ads and no distracting elements. Arbolet has also had a vastly extensive news section and a member´s forum. It is also worth mentioning the community, which processes the general questions of the new members in a ticket system and helps them. Elements that differ Arbolet from others are anonymity, sophistication, sense of projects, membership, and community, education, security, and above all, the great vision for the future. Since we have a monopoly on BTC in Czechia now, there is no competitor. The company aims to expand their activity in the international crypto-market as well. Another service Arbolet offers is their online wallet. When you register at www.arbolet.net/ you are provided with a wallet where you can deposit fiat or bitcoin. 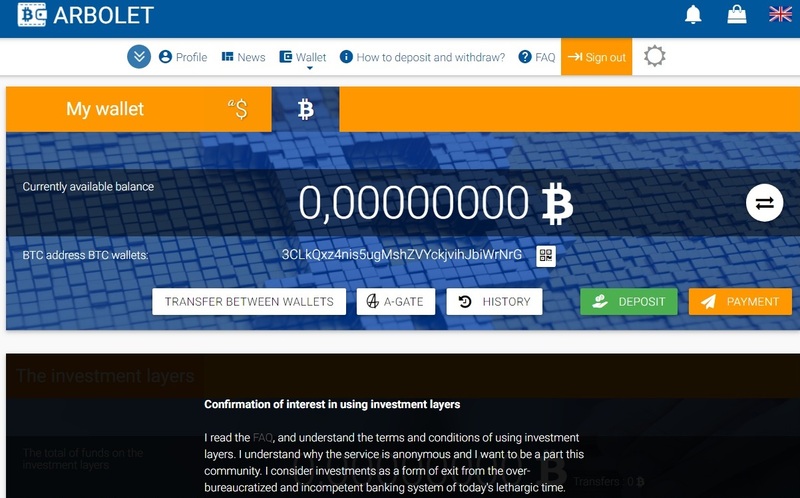 You can buy and deposit bitcoins instantly. The company offers the possibility of using investment layers for active members. Investment layers are locked until specific tasks are completed for each layer. By completing available tasks, new members demonstrate that they are capable members who get actively involved, they will also benefit from more favorable terms based on their own merits. Zero layer (wallet) – with 0 interest rate, serves as deposit and withdrawal layer, the withdrawals can be realized immediately. 1st layer (investment) – an interest rate of 6% per year, the time of transfer of the investment to the zero layer is 1 month. 2nd layer (investment) – an interest rate of 10% per year, the time of transfer of the investment to the zero layer is 1 year. More investment layers are offered in USD you can check their website for more details. Arbolet has an affiliate program where users get a commission for referring other people. Each user of the Arbolet has been assigned a unique code that is part of his referral lin. If a new user registers at Arbolet through your referral link, it becomes your referral. You will then be credited with the referral commision in the percentage of the amount that is collectively on the layers in the wallets of all your referrals.